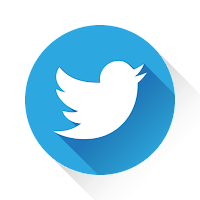 I'm keeping this one simple, folks. 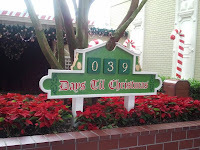 It's one of those "a picture's worth a thousand words" situations, so I'll rely heavily on the photos this time around. 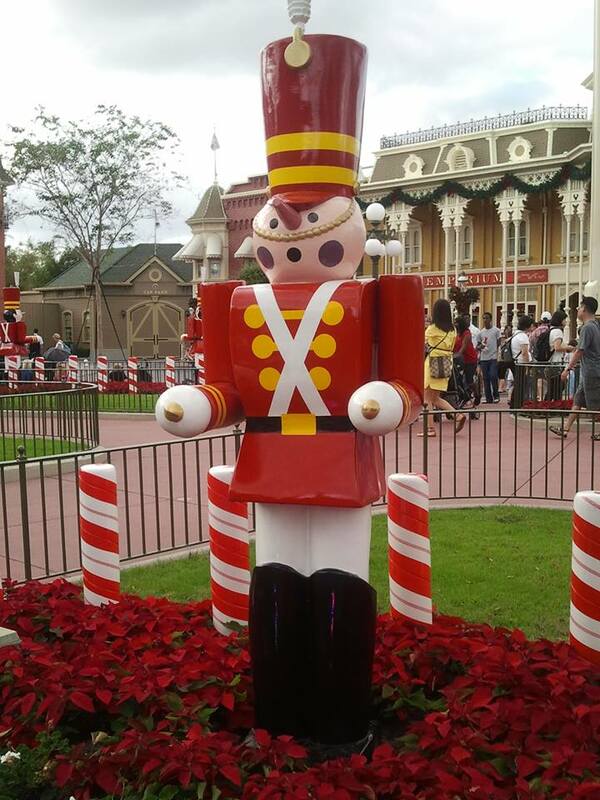 Disney is a company that pays attention to detail. 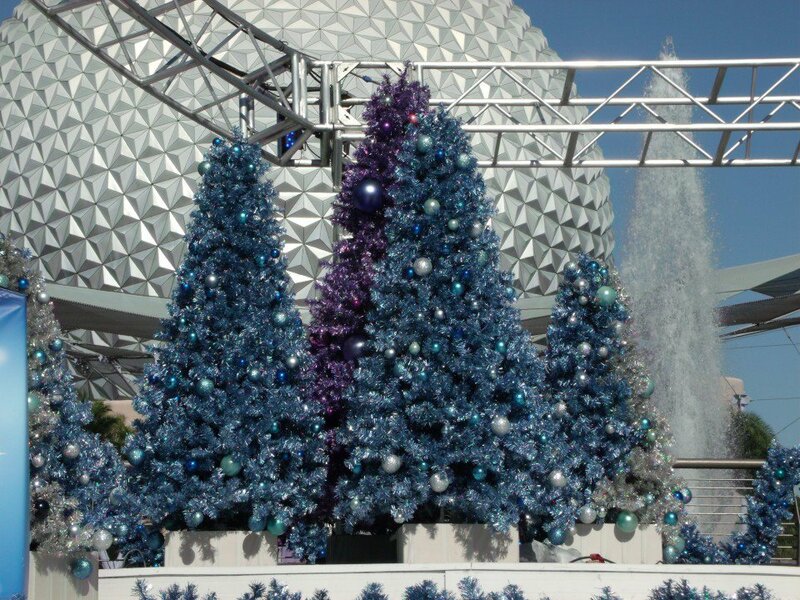 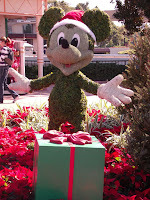 The parks transform with the seasons, and Christmastime is the most amazing of all at the Walt Disney World Resort. 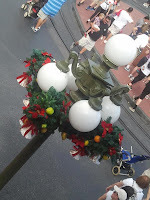 There are tremendous celebrations, like Mickey's Very Merry Christmas Party... unique experiences such as those at Epcot's Holidays Around the World... breathtaking displays like the Osborne Lights at Studios... then there's the truly inspired (and inspiring), amazing little touches absolutely everywhere else. 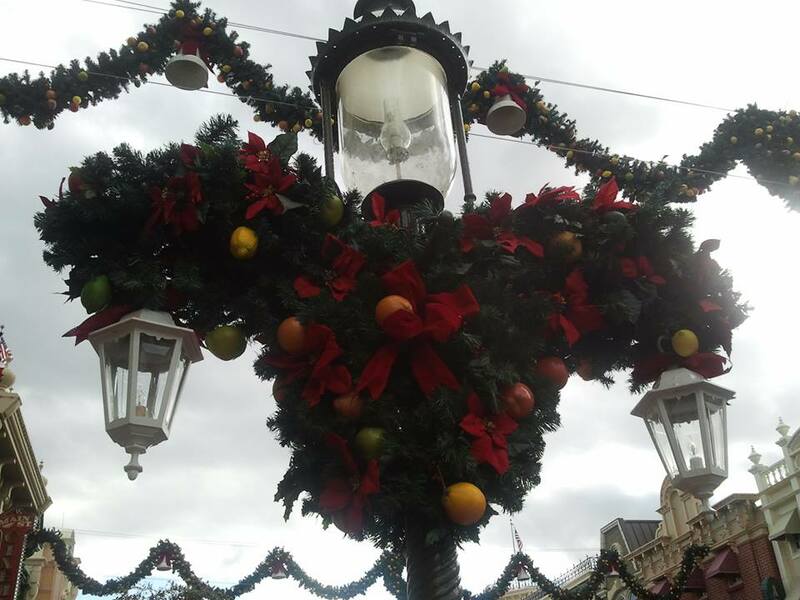 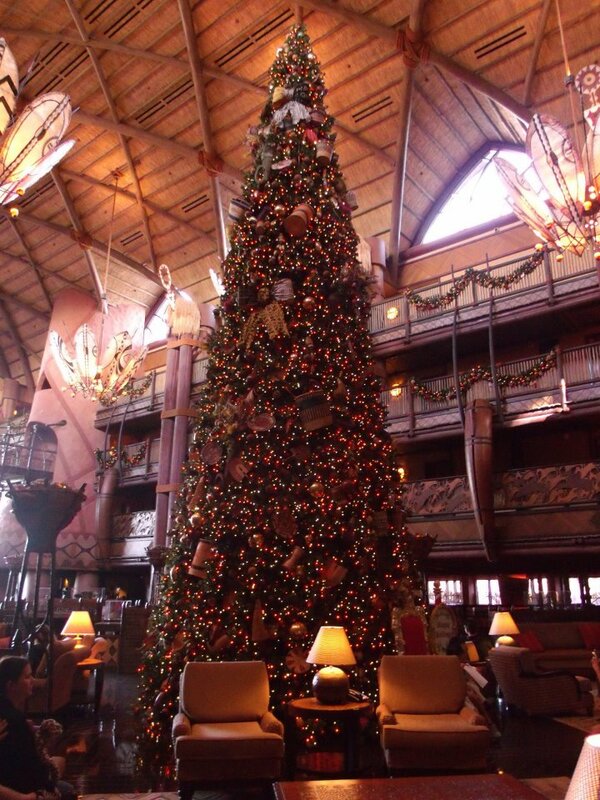 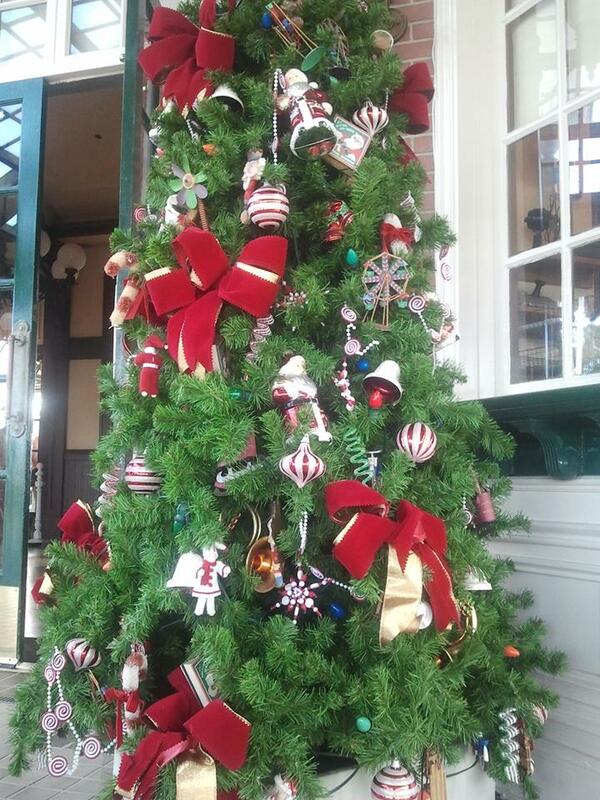 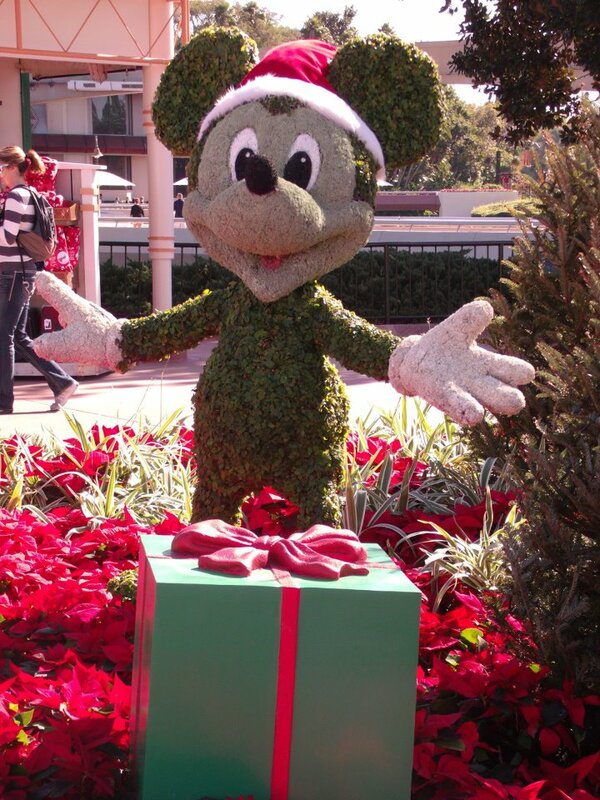 Every park, shop, and hotel has its own original holiday touches to take notice of. 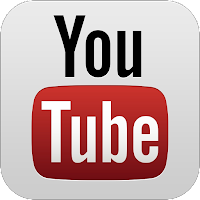 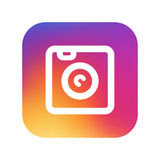 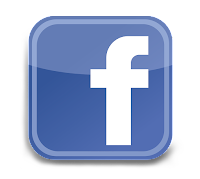 Let me take you on a tour of some of the top highlights!!! 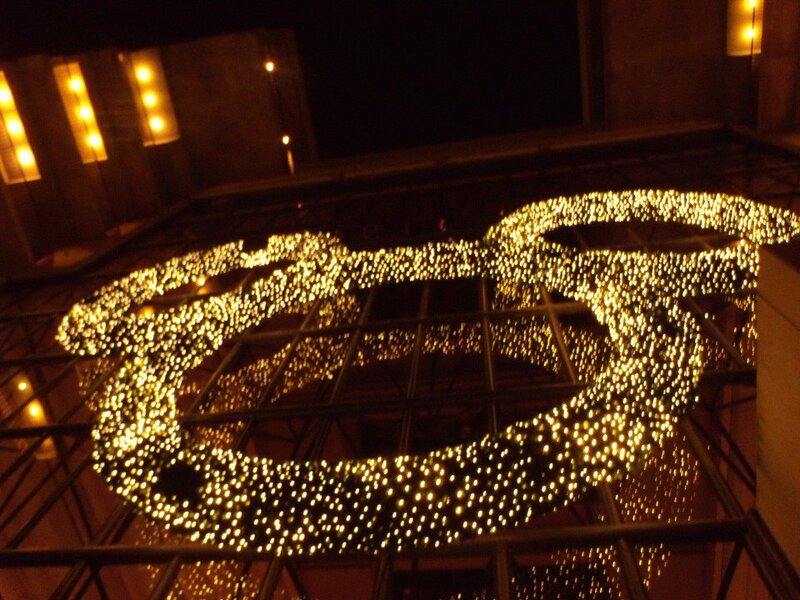 The Contemporary Resort is a true holiday highlight in SO many ways! 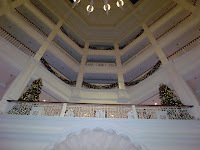 A trip through the resort on the monorail offers a quick glimpse, but it's worth a pit stop for further exploring. 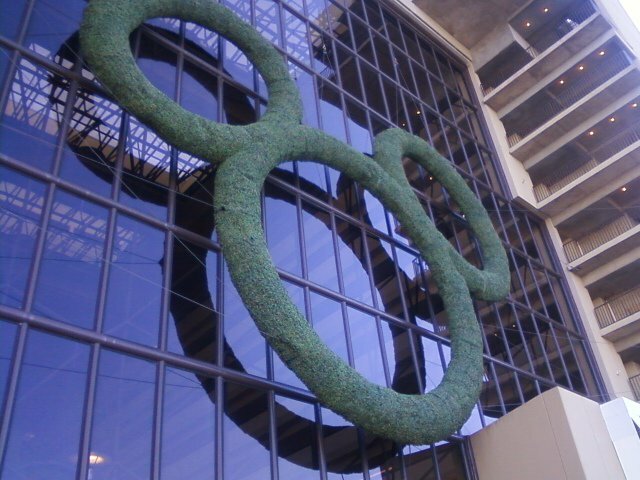 The huge Mickey head wreath is on the outside of the main building, facing toward the Magic Kingdom. 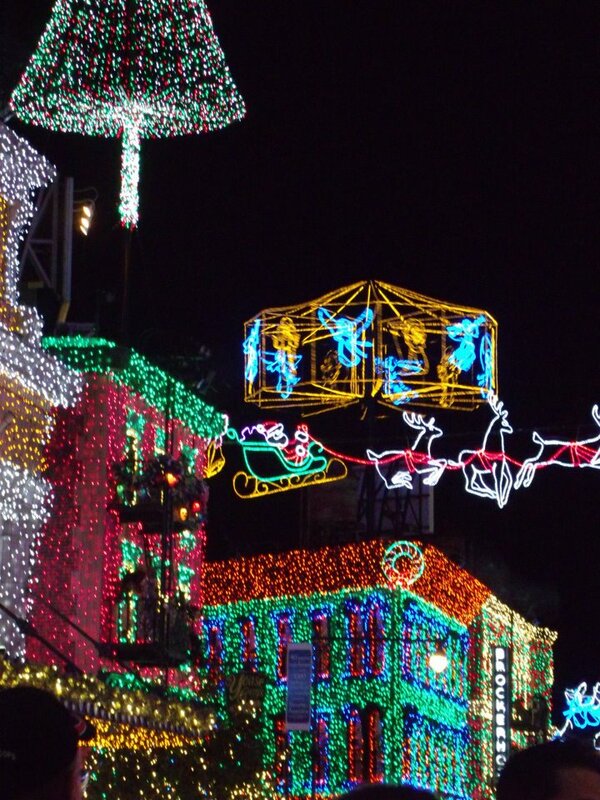 At night, it's a whole new kind of glorious! The Grand Floridian is a spectacular resort by any standard, year-round. 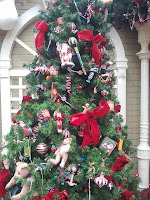 Elegance is the norm here, and the holiday season yields sophisticated Victorian beauty in tastefully festive touches. 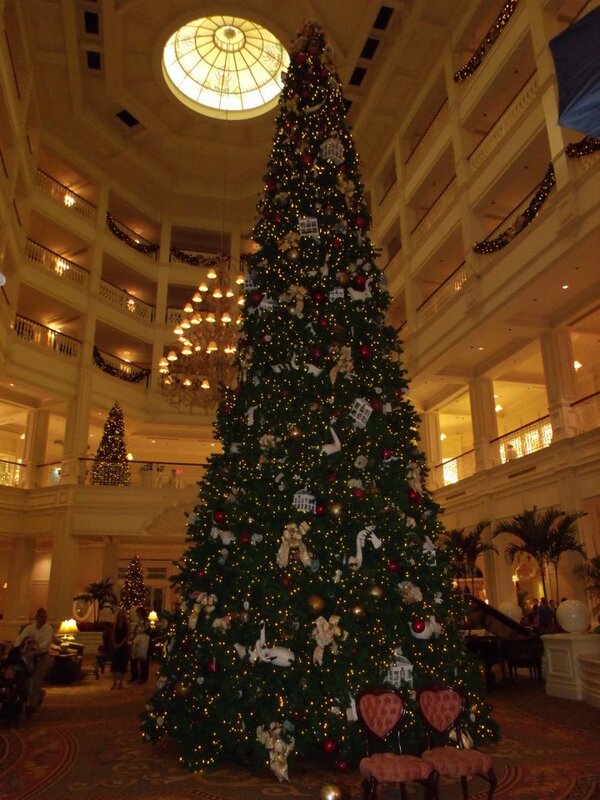 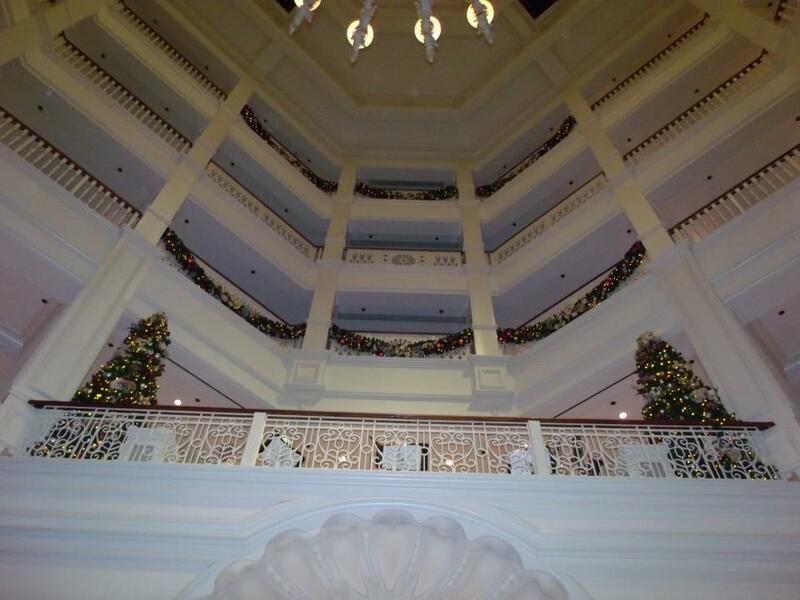 Arguably, the most magical element of a Disney Christmas is right here in the lobby of this fantastic jewel. 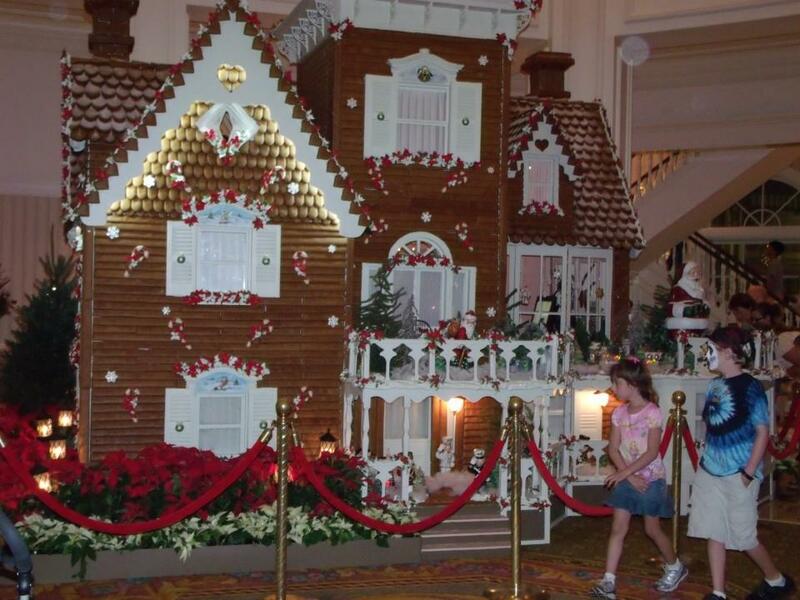 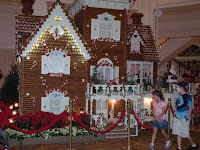 It's a life-sized gingerbread house! 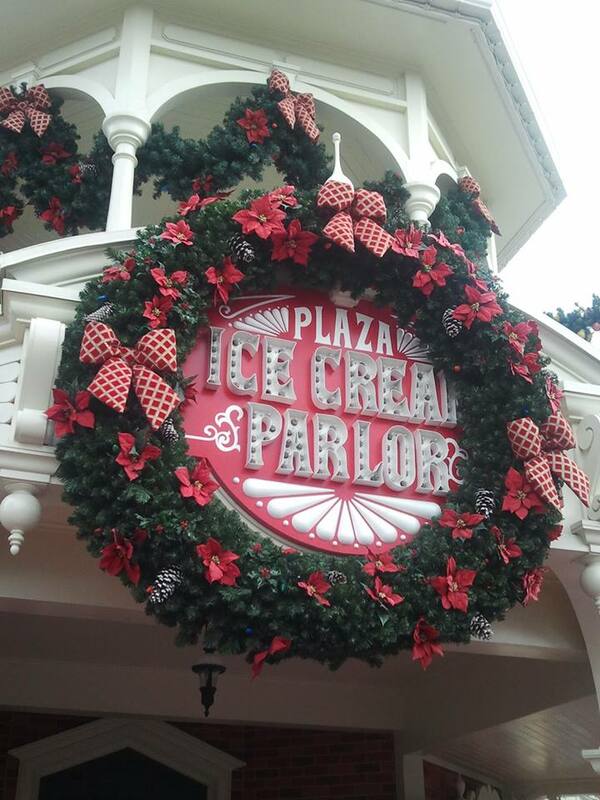 While it's not there for eating, the happy Cast Members inside will serve up plenty of yummy goodies that are! Beyond the hotels, of course there's the parks! The "spectacle" taking place at Hollywood Studios warrants a blog entry of its own, so you can click here to discover the Osborne Lights! 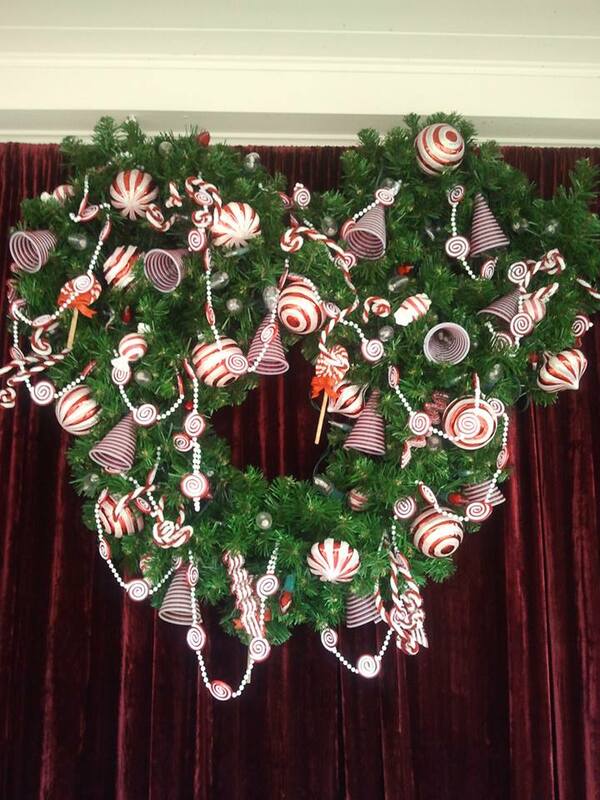 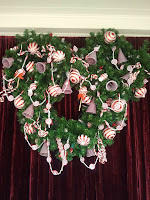 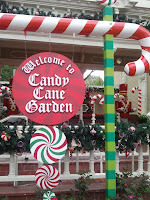 The Candy Cane Garden is near the front entry, on Main Street. 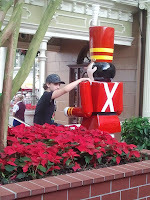 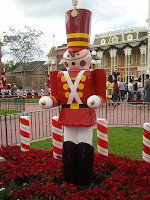 Drop off a letter to Santa, take some pictures, and have a chat with a toy soldier! 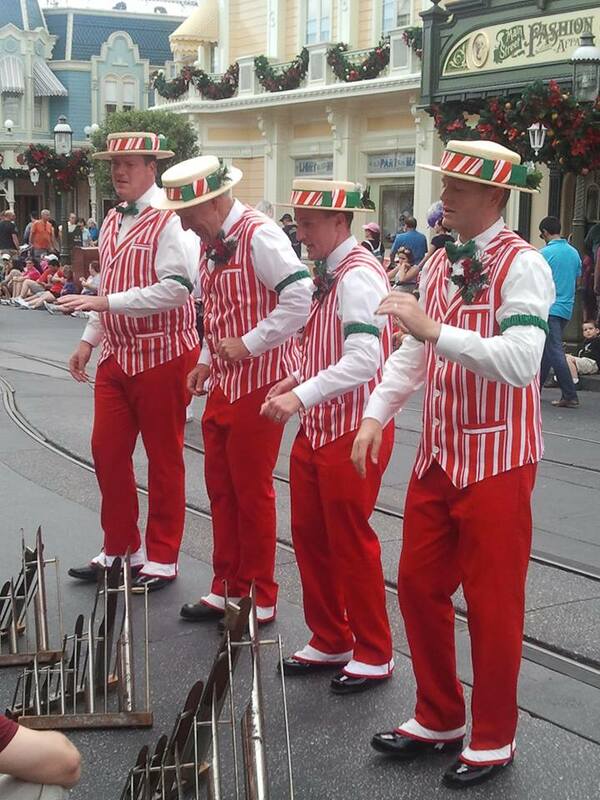 Keep strolling down Main Street to discover random street performances, as well as decorations among light poles and buildings. 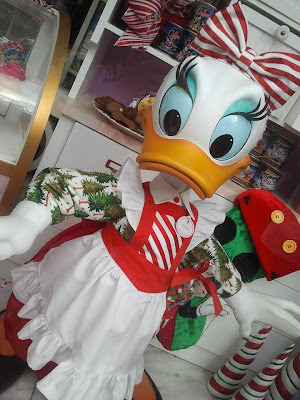 Even the shop windows hold happy holiday surprises! 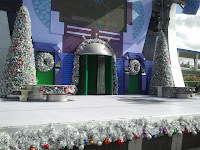 I'm always a fan of the dance parties at Club 626 in Tomorrowland, and it seems that they're even getting a holiday refurb! 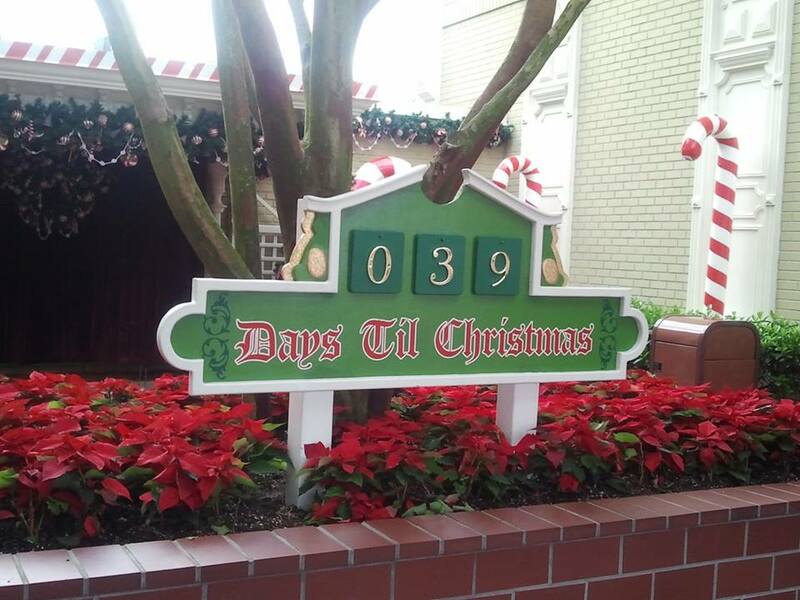 Will have to report back on that after I make an evening visit (it's coming, I promise!). 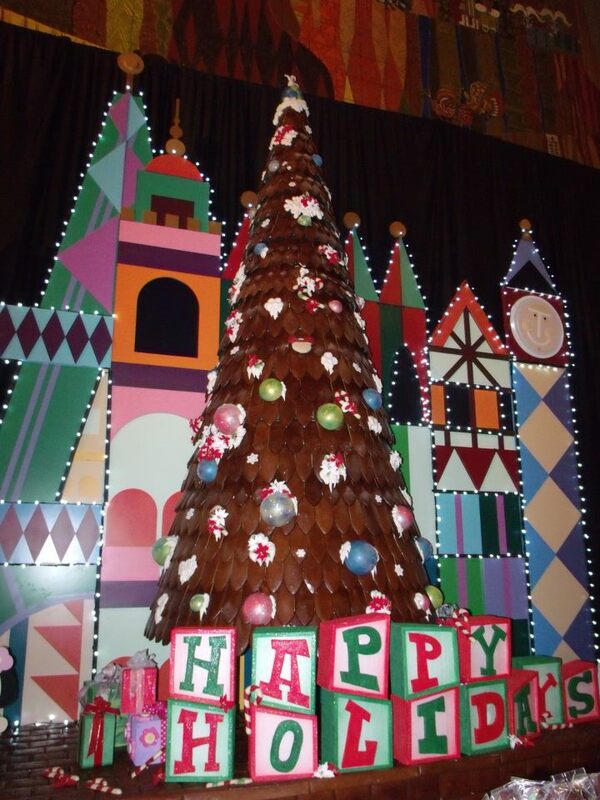 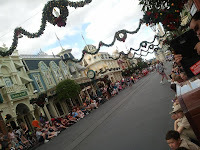 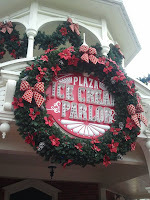 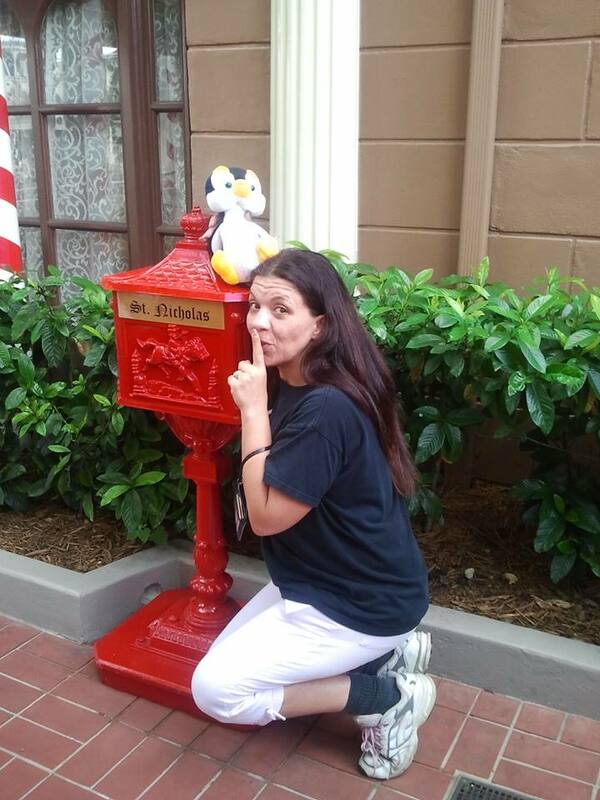 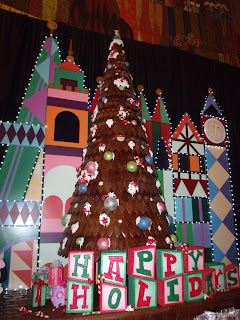 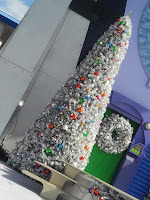 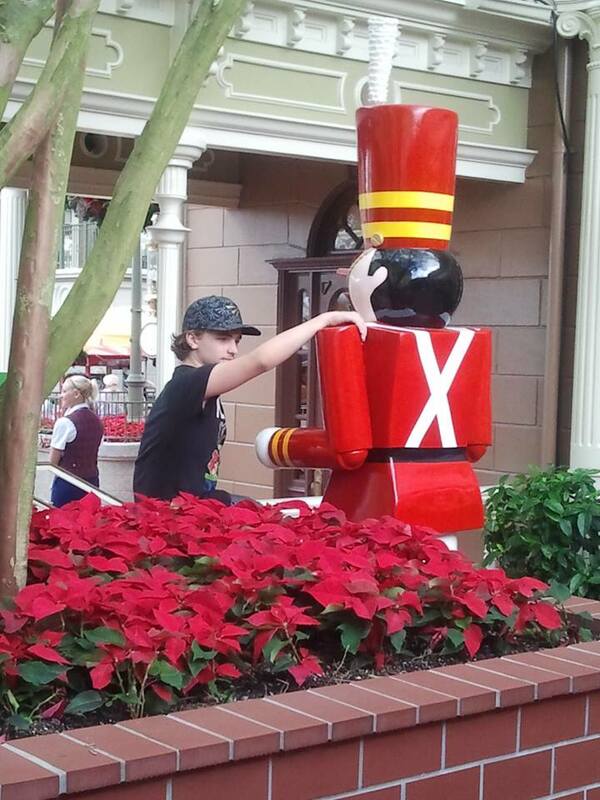 There is just so much to see and do at WDW during the holiday season. 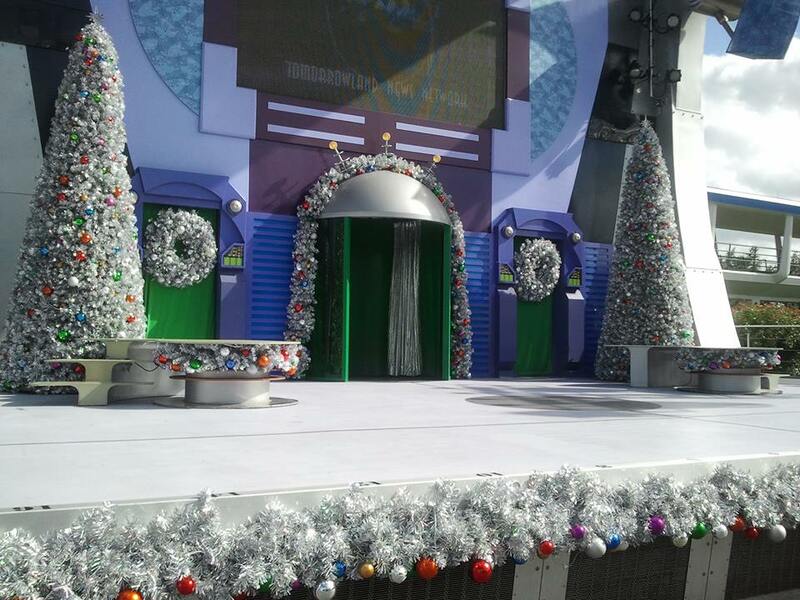 Downtown Disney has its own aesthetic touches too, as well as a Santa Claus greeting area. Animal Kingdom offers up the Jingle Jungle Parade. I did not cover everything here, but just because it didn't make my favorites list doesn't mean it won't make yours. 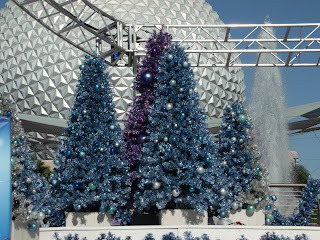 Nice pictures..Christmas tree is looking fabulous!